Where do I start looking for a diamond? Do I buy online or in a jewelry store? What Cut, Color, Clarity, Carat Weight should I purchase? How do I know if a diamond will look brilliant and scintillate? If you are in the market for a diamond and need help, we would love to hear from you! Send us your diamond wishlist and your budget and we will be more than happy to recommend a diamond that will impress. THE DIAMOND ADVISOR is a consumer information site aimed at simplifying the diamond shopping process by sharing what other shoppers are looking for, dispensing advice and offering recommendations for your diamond search.. Which of these three diamonds do you like best? My budget is $6300 for the stone itself. Do you have any other alternative suggestions? I would definitely like to see something a bit more lively. For example: https://www.jamesallen.com/loose-diamonds/oval-cut/1.01-carat-i-color-vs1-clarity-sku-2416804. If you compare and contrast this to your 3rd stone, you’ll notice that this stone has more flashes throughout, where your stone the flashes are isolated within the bowtie region. Also, I think you could either save budget by dropping your color with sacrificing anything, or maintain your budget and get a larger stone. If you let me know which you prefer, I can help pull together a list of options for you. Cheers! I had a question on this particular diamond from James Allen. I talked to one of their specialists about this particular diamond, a diamond which you recommended to me before. I think the diamond looks great except for the mark that is on top of the diamond. The specialist told me that since it’s not in the GIA report as an inclusion, it is most likely adhesive that can be removed. Can you confirm that? I am a little weary of that mark. Hi Tony, yes, it a normal occurrence that sometimes an inclusion isn’t really an inclusion but rather dust / spec / waterspot on the stone. The tell tail sign is when the stone rotates, the mark doesn’t appear to be inside the stone but rather sitting on the surface. Do you have the original link for me to view? So I talked to two people on jamesallen and they gave me two different opinions. One said it is not on the GIA report and it’s not part of the diamond and the other one said it was because it’s in the GIA report…. Can you observe yourself and see? Best I can tell, it’s something sitting on the surface (similar to a water spot). You can tell by rotating the stone. At the point where the reflection of the light source starts to turn the table of the stone, white, you’ll see that the spot doesn’t reflect light in the same way. That tells me it’s sitting on the surface rather than being under it. Also, when you map the stone to the certificate, the there is matching inclusion. So, you’re safe with this stone as far as I’m concerned. To also help you sleep better at night, also remember that James Allen has a great return policy. How do you feel about cushion cut vs round in a simple solitaire setting (do not like the halo or diamond setting)? How can you determine a cushion that will shine and stand out? Here are a few I saw. I’ve been looking around for an engagement ring, while I have learned a lot from your site it is still hard for me to find what would be the best diamond/value. I don’t have a rock solid budget but I think I’m willing to spend up to 3k on the perfect diamond. Using your criteria I found a few I wanted your thoughts on (plus any better options if you had them). Do you think it is worth the 1k for the .1 larger size? All the stones perform very nicely and have good proportions. Without taking budget into account, I’d recommend your second stone (https://www.jamesallen.com/loose-diamonds/round-cut/0.82-carat-j-color-si1-clarity-excellent-cut-sku-2153197) as it is definitely the liveliest of the trio. Now, in terms of budget, you really need to figure out what you’re comfortable with. Diamond shopping is like tech shopping where you’ll hear yourself saying “if I spend just a little bit more…. I can get something even better” over and over again. I can’t emphasize this enough: Set your budget. And stick to it. If an extra $1K doesn’t really change your lifestyle, then yes, consider the larger size knowing that the .1 carat weight effectively translates to .3mm difference. Personally, from experience, I’d consider picking the smaller stone and either using that money for another gift or complimenting the stone with a pave setting (which will increase the overall look / size). Would you recommend a james allen “true hearts” diamond over a different cut diamond? I found a few comparable, but they’re about 1k apart in price. You can think of “True Hearts” as more of a marketing element. Each online retailer has their own signature line. For James Allen it’s “true hearts”. My advice is to stick to the stone itself and not the label given to it. Even though this is marked as a “true hearts” to indicate it’s the creme de la creme for JA, it might not hold true is the same stone was with a different vendor (i.e. there is no standard). Also, while hearts and arrows is a nice selling point, it’s becomes an afterthought once the ring is set. Your fiancee to be will never be able to see the hearts and arrows. So, my advice would be to save save the $1000. In terms of your 2 lower budget stones, I’d go with this one (https://www.jamesallen.com/loose-diamonds/round-cut/0.76-carat-j-color-si2-clarity-excellent-cut-sku-2188885) as it’s a touch more lively then the other stone. Make sure the JA gemologist confirm the table inclusion is eye clean. I’ve scoured your site and advice, and it’s definitely helped me a TON! Though, there are so many components to consider, and I’m struggling to find the best balance between all of them. I would love your help in picking one of these stones! I’ve read about the importance of cut above (almost) all else. I also know that I am going to have the diamond set in a Halo, so I don’t want to drop below H color. So, I’ve come up with a few options that are all within the budget, though with competing characteristics. These also looked very good (to me) and fall within the guidelines, but I’m not sure if I’m missing overlooking some other component. So, the big question: which are the best choices and why? THANK YOU! This is an amazing service that you offer! From a visual point of view, all 4 stones look pretty similar. All are eye-clean and have a close amount of scintillation and fire. I did notice that the two GIA stones have crowns that are too steep (relative to the pavilion). This effectively causes less light to be return. You’ll also notice that these two stones don’t score as well in the HCA tool. That being said, the two AGS stones are the way to go. Between the two, I’d go with the first (https://www.jamesallen.com/loose-diamonds/round-cut/1.30-carat-h-color-vs1-clarity-ideal-cut-sku-872700) solely because it costs less (the inclusions in the second stone weren’t a factor as they are too small to be seen [remember you’re looking at a stone the size of a baseball on your screen but only 7mm in reality). Hope that helps! Have a wonderful holiday season! The ring will be a platinum band with smaller sidestones or pave settings. My goal is to maximize the size “appearance” of the stone, so good surface area and table ratios are important. Thanks for your question! I have to admit that it’s a hard one to answer – kind of like asking which of my three favourite things I like the most. They all have their qualities but are also unique at the same time. In the end, it really comes down to personal preference (for the choices you’ve listed). I’ll share a few thoughts that I’m hoping will help sway you in one direction or the other. In terms of shape, my personal favourite is the cushion cut (https://www.jamesallen.com/loose-diamonds/cushion-cut/2.20-carat-e-color-vs2-clarity-sku-1778498). Note that I picked the latter of the cushion cut stones because of it’s softer edges which gives it more of a romantic feel to the stone. It’s such a unique cut that isn’t particularly common among women today so that’ll help it stand out among the crowd (so to speak). The shape also lends itself well to pavé and will look larger than say a round with payé thanks to it’s rectangular like shape. That being said, the thing to remember is that the light return on a cushion cut (or any other non-round cut) will be less than that of a round cut (BGD Signature Cushion being the possible exception). So, you trade off a little bit of light performance for a more interesting shape. Oh, and definitely go with the pave rather than side stones to maximize the appear of size. If you compare these two stones to your round, you’ll notice that these have more flashes (scintillation) and more colour (fire). This will help the stone stand out more especially against smaller stones. Now, in terms of the princess cut I can’t really say much. It’s a nice cut which is typically cheaper but lacks a bit of “umph” that comes with other cuts. I’m struggling to decide between two diamonds. Both stones are well proportioned with HCA scores < 2. I'm not a fan of paying for something you can't appreciate so I would recommend an IF stone (it's nice on paper and for bragging rights) but it doesn't enhance the stone any more than say a VS1 would. Based on that, and I suspect the price of the James Allen stone is lower, I'd go with the James Allen stone. With the James Allen stone, have you considered say a F/G colour, VS1/2 and use that saved money to get a bigger stone? Here's an example: https://www.jamesallen.com/loose-diamonds/round-cut/1.26-carat-g-color-vs1-clarity-excellent-cut-sku-1969341. If you need more examples, feel free to let me know and I’ll work with you to find something within your budget and specs. Cheers. I’ve done a little research over the past couple days and it seems to tick all the boxes, I don’t care if it’s perfect under a loupe, so long as an average person thinks it’s pretty. I’m impulsive so I’ve already purchased it but still interested in hearing if I’ve made a decent choice or not. It was $3100 my original budget was under $3k, it’s being set in a platinum pave halo ring. Thanks! Looks like a good stone. Apart from perhaps a bit more fire, I agree with you that all the points are well covered (proportion, clarity, buy shy)! Thanks for reminding our readers that stones don’t have to be perfect under a loupe! Remembering this little tip can save you a lot of money! I was just browsing through your site and wanted to get your feedback on the following diamond. The crown is a little steep so proportion wise I think you could do better. The site you pulled this from, are real images of the stone available? I’d recommend that if you’re going to go with a lower range clarity grade. If you need help with some recommendations, send me some details as to what you’re looking for (ring material, ideal stone, budget) and I’ll put a list together for you. Sorry about the delay (it’s wedding season and was out of town attending one). I would definitely go with https://www.jamesallen.com/loose-diamonds/round-cut/1.40-carat-h-color-si1-clarity-excellent-cut-sku-2038498 (third option). All three stones are pretty compatible on paper but this one is definitely the liveliest of the set. I came across this diamond and check using HCA. The result is 1.1 only! However, the depth and table is close to 60/60. I would like to know if it is adviceable. Unfortunately it’s difficult to say. Although the proportions are fine with this stone, the visual aspect of it could go either way. The paper details (i.e. proportions) should only used to help narrow down your list of diamonds. I wouldn’t base my choice solely it, nor would I base on my choice without actually seeing the stone either. Have a look at our Diamond Buying Guide for a more detailed description. Hopefully that helps in your search. If you need a custom list of recommendations put together, let me know. Hi I’m looking at this diamond and was hoping you could give me your opinion on it, and they price you think it should sell at ? Pardon the delay in the reply. A stone with these specs will typically run you about $6500 per carat (so say about $7000+ for the stone). Keeping in mind that it’s already sold, I would say you could do better in terms of proportions and light return. The stone is also lacking a bit of fire. If you need help with recommendations, send me a few details about your budget and wishlist. I’m in the market for a emerald cut stone for an engagement ring. I’m really struggling finding what is ‘ideal’ for an emerald cut stone. My local jeweler found a great stone for me (1.05ct, F, VS1, 1.35 l/w). I saw the stone in person and think it looks great. However, the depth % of the stone is 74.6 while the table % is 71. These values (especially depth) seem to fall outside the range of many guides I’ve found online. I think the diamond looks great, but I admittedly have not seen many emerald cut stones in person. Should I trust my eyes or keep searching for a stone with more ‘ideal’ proportions? With fancy cut stones, the “norms” are really more like “guidelines” because each house has it’s own cut. You may find a stone that is outside the norm but still outperforms others because of an aspect of that cut. My advice when it comes to fancy cut stones is to trust your eyes. If the stone performs well visual and the price is roughly in line with the “norm”, don’t be afraid to go with it! All the best! thank you very much for offering this service! Based on the 3 stones, it shows you did your homework! All 3 stones look great in terms of light return, fire and hearts and arrow symmetry. Normally, I’d have a little more to say in terms of which is better than the other but in this case the stones really are close to identical. At this point, I’d go with price. Between the BGD stone and the Whiteflash stone, the extra .03 carat isn’t worth the extra $1000+. Assuming the James Allen stone and the BGD stone are close in price, I’d personally go with the Brian Gavin Stone (Brain Gavin Recommended Stone) mainly for bragging rights. I personally like their packaging as well. Currently I’m in the market for an engagement ring, looking for a round diamond. Are you able to offer advice on the following James Allen diamonds and/or suggest any others? Currently I’m in the market for an engagement ring, looking to spend approx. £2.5k with a pt solitaire setting. Are you able to offer advice on the following two diamonds and which you’d purchase, if either! From my very limited understanding I think they would both work nicely for my budget however I’m still nervous about “pressing the button”! I’d really appreciate any advice you can offer on the above or highlight where I might be going wrong. Hi James, between the two, I’d recommend the second as the cut proportions are better which means you get better light return. All three of the diamonds have excellent proportions for light return and are cleaner than the ones you selected. Keep in mind that the colour is a step lower but neither have a warmish color that would take away from your platinum setting. All three are pretty similar in price and specs so it’s really up to you which one you prefer in terms of sparkle (scintillation and fire). I am hoping you can help me determine if I should purchase this diamond. The price is $4,687.42 USD. That is about 500 to 1000 dollars cheaper than stones of similar characteristics. So I am concerned if it may be too good to be true. You think I should go ahead with it? I don’t know much about idealscope or aset images other than the little I have read. The rep I spoke to said that the intense pink in this image does not imply diamond is reflecting back less light. 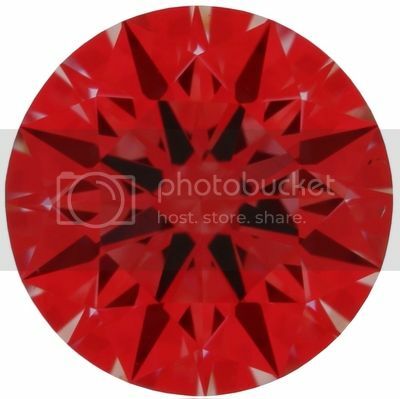 He says that the diamond partner is using a different color to signify light reflection, so red in other ideal-scope images is the same as pink in this one. It does not seem correct, but I am unsure because I don’t know enough. I have the ideal-scope, aset, arrows and hearts images, but I am not able to attach it here. Based on the proportions and price, this definitely seems like a good buy! Based on your specs, an average stone would go for about $5,000 to $6,000 USD. Here’s a similar stone (Example from James Allen) with a slightly higher colour (I colour grade) which comes in at $6720. I’ve sent you a location where you can send the idealscope and ASET images. This is good information to have when making the final decision. Normally I would say to also look at the real diamond image (like in the link above), but as you’re at an VS1 clarity grade it’s not really necessary as it will be eye clean. I am helping my future son-in-law select a cushion cut diamond in the 2.0 carat range. The preference is to find more of a square shape than rectangle and the largest looking stone, or the most bang for the buck. He’d like to spend no more than $15K on the stone, but may have a little wiggle room. I located the stone below on Blue Nile and am wondering if it’s a good find or if you can suggest something else that is of equal or better quality. Obviously we want a near colorless and visually beautiful stone. Could you help me review if any of these are good choices for 3k budget? i was told that they are eyeclean. The j colour should be ok if its still white. Based on the details you provided, I’d favor stone 1 over stone 2. Namely because the first stone has better light return as seen in the IdealScope and is free from any large inclusions. In the second stone, there is a noticeable inclusion at the 7 o’clock position which makes me question is this is indeed eye clean. In terms of budget, you’re pretty much on par with what you’d expect from an online retailer. Saw this at the jeweler today and it matches up with a lot of my SO’s requirements. It looked great, couldn’t find the blemishes with a 10x loupe. It’s priced at effectively $15K, which is right in my sweet spot. Was wondering if this was a good deal or if I should keep looking. On paper, the stone looks fine. With a VVS2, you’d be very hard pressed to find any inclusion using a 10x loupe. A useful tip when viewing things in store is to put a few stones side by side. Ignore their paper attributes and look how they perform compared to one another. Visual inspection should always be your final criteria when selecting a stone! In terms of whether it’s a deal or not, that depends on your situation. If your SO has her heart set on those parameters (i.e. G Color, VVS2 Clarity) then yes, I’d say go for it. If you’ve got flexibility in the choice, I’d say you have a bit of room for improvement. This would be either in a slightly larger stone for the same budget, or a stone identical to your current choice for a reduced budget. In terms of color, you could easily go down to an H without a noticeable difference. Same thing for Clarity – you could do a VS2 and get an eye clean stone without much searching. You could go further an get an eye clean SI1 but that’s going to take some searching. I randomly picked this stone from James Allen based on my usual parameters. It’s good excellent proportions (HCA < 2.0), an H color and VS2 clarity. It's eye clean, has good brilliance and fire and is slightly larger but also cheaper (about $1,000 USD). Do note that between a 1.61 and 1.69 stone the stone will look roughly 1 mm wider. Hopefully this provides you a baseline to make your final decision! I’m trying to decide between these two… your opinion is highly appreciated!! On paper, both diamonds are pretty comparable. From the real diamond image at James Allen, the fire and scintillation of the 1.62 carat stone is definitely nice! Overall a really nice choice. Obviously, the Enchanted Diamonds diamond doesn’t have a real diamond image so it’s hard to do a side by side comparison. Given the high clarity rating, both would be eye clean. Between the 2 choices, I’d go with the James Allen stone. First off, it has a lower price per carat. Secondly, the James Allen stone has steeper crown angle so you could expect more fire than compared to the Enchanted Diamonds stone. Personally, a stone with strong fire really helps make an impression. I hope that helps! Don’t forget to take advantage of the 15% off! It’s on the James Allen website header. It expires Feb 8th. I don’t really care about the diamond being internally flawless, just that it looks as good as possible to the naked eye. 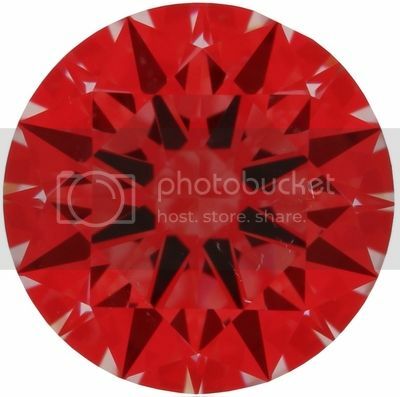 So I have been thinking about something with the best possible cut (which I understand is complicated with an oval diamond but something like a table 52-64 and depth 56-64), a colour in the G-I range and clarity in the VS1-SI2 range. The larger the carat the better. 1) Any idea where to find a diamond like this online? 2) Is it an okay idea to buy a diamond and have the setting done locally? If not, where is the best place to customize a setting online? If you need a list put together, let me know and I’ll be happy to start a search for you. Cheers! I was hoping to get a second opinion whether this was a good choice or if I should continue looking. Thank you for your help! Thanks for putting the site together. I have done all my research and feel I’m likely looking to buy my diamond onine based on the crazy mark-up in Australian stores and never feeling like I’m getting honest advice from retailers. I was hoping you could provide a couple of recommendations. My budget for the stone is $7-9k USD. I would ideally be looking for a something in the E/F/G colour, excellent/ideal cut, round in shape, SI1 or SI2 (as eye clean as possible) and hoping to break 1.2 carats. Hoping you could give us a steer in the right direction. I will be setting it in a 6 prong claw with side stones running down the size and using platinum. Hello which diamond is a better diamond? I want a diamond that will look brilliant and sparkle a lot. I have the 1.76 and I am trying to decide if I should exchange it for the 1.70. 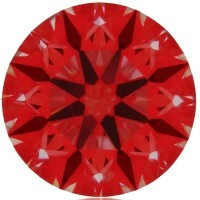 I would go with the 1.70 carat stone (http://www.jamesallen.com/loose-diamonds/round-cut/1.70-carat-i-color-vs1-clarity-excellent-cut-sku-646584 as the proportions are better. Apart from that the two stones are pretty similar (without getting in Idealscope and ASET images). The 1.76 does have a little more fire, but I would consider that secondary as proportions will yield better light return. Hope that helps! Which is the best diamond for my setting? Picking the best stone for this setting was an easy choice! Very nice choice in setting by the way. The stone I’d recommend is SKU 635141 (James Allen 1.72 Carat J Color IF Clarity Round Brilliant). Between the three this one was the liveliest with the most fire. I have been doing a great deal of reading to become an informed buyer and found your site to be very helpful. I have chosen 3 diamonds from James Allen that I am considering. While I would love to get a Hearts and Arrows or Hearts on Fire diamond I am unable to pay that additional amount in the 1.5+ carat realm. Thus the following have caught my attention. Of the two 1.5 carat options do you have a preference? Or is there another that you like better? From you opinion would you see the Strong Blue Fluorescence as a reason to avoid the 2.03 carat diamond? Form my research the other details seem on good to me. From the pictures I am unable to discern any potential oily appearance corresponding to the boron presence. For reference the ring and setting will be (or similar to) the Hearts on Fire Enrichment. Please note I have dug through online options and visited numerous jewelers to see the 4C’s in person. I searched from VS2-IF and J-D and I believe I can have high quality in the 1.5-2 carat range rather than a 3 carat that I know is flawed and in a less than white color. I appreciate your efforts and look forward to your opinions. Thanks for your question! I took a look at the 3 chooses and in all honesty I’m not a fan of the options and I’ll explain why. The choices are equivalent to selecting from “good”, “mediocre” and “average”. I certainly think we could do MUCH better here while blowing away your budget (which I’ll assume is $32K based on the first stone). First, clarity. Going with an internally flawless stone (while good on paper), is considerably overpaying for something neither you nor your fiancee to be will be able to appreciate. To put things in perspective, remember that your final stone will be about 8mm-9mm and any possible inclusion will be smaller than a size of a grain of sand. In most cases it’ll be about the size of the tip of a needle. There’s lots of room to come down on the grading here (and saving $$$$) while keeping the diamond eye clean. The key to diamond clarity is to remember that clarity grading was not made for consumers, but rather for gemologists. For us consumers, the only thing we need to be sure of is that the stone is eye clean. This can easily be achieved via a VS2 or even an SI1 (if you spend enough time looking). The proportions of the stones that you listed are also a reason I wouldn’t recommend any of the stones. None of the three scored well on the Holloway Cut Advisor and so paying for a smaller stone with less than exceptional light return didn’t sit well. Now, open the two stones side by size in separate browser windows. Also, adjust the size of the stone so that the sliders on the diamond images are equivalent and about half way down. Try and get the diamonds to rotate in sync. Now, having done this, can you tell the difference in the diamonds?? Can you tell that one is flawless whereas the other is VS1 Clarity? Hopefully not as both are “eye clean”. You may notice a slight difference in color between the two stones. If you do, close the window with your stone. Can you tell that the recommended stone is NOT colorless now that the reference stone has been removed? This is an example of what happens in real-life with diamonds and why ‘H’ is a great color grade to go with as it still appears colorless with no warmth in the diamond! Even if you were to put a F and H diamond side by side on someones hand, you would have an extremelly hard time to tell them apart. Now to the differences you don’t see. If you zoom in on my recommendation, can you spot the inclusion? If you can’t, that’s alright! 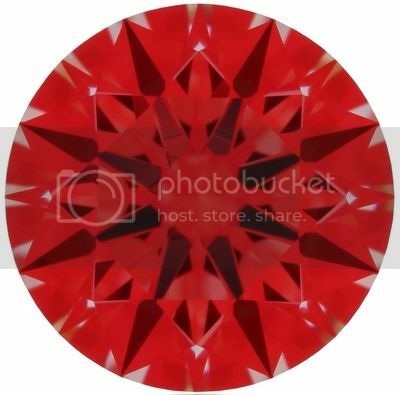 At 8.38 mm in diameter, this diamond will appear eye clean and you have saved $$$. In case you are wondering, the inclusion is just between the center of the diamond and the right edge of the table. You might need to turn the diamond slightly to see it. The other big difference is the proportion. The recommended diamond has ideal proportions with a score of < 2.0 on the Holloway Cut Advisor. This means that your are maximizing light return, fire and scintillation. Compared to other stones of the same carat weight and average proportions, this stone will look larger thanks for the better light return! Finally, the price and carat weight for the stone. As you can see above, the recommended stone is almost an extra carat larger (or heavier to be exact) and costs $10,000 less. At $23K, this stone is larger than your desired specs and under budget! The Holloway Cut Advisor is a great tool that I wish I knew about before. I certainly use this get better information about how all of the cut perform together. This certainly has moved me from the previous stones. Doing a side by side comparisons is something so simple that I did not think to do it, another good piece of advice. I have visited numerous jewelry stores and looked at a lot of diamonds in person before starting the online search. During my visits I looked at stones from S1-VVS2 and was able to see inclusions at VS1. I was even challenged by a jeweler to describe the locations in reference to the face of a clock because she did not believe I was seeing anything. This caused me to only want VVS2 to IF. I Refuse to give a diamond where I can hold it up to my eye and see a flaw. As soon as the screen loaded on the recommendation you gave I was able to see the cluster of inclusions at approximately the 6 o’clock position as well as 2 other points which are identified on the Certification. I fully understand that I am looking at something smaller than centimeter blown up bigger than a baseball on my screen but to me they are undesirable. Going back to my concern with being able to see an inclusion, especially when it is directly under the table, I would not be comfortable getting that stone. I am going to continue searching and using the Holloway Cut Advisor to better evaluate the options out there. While staying Under $32 is desirable I have some flexibility and would love any other suggestions. Also, what are your thoughts on Hearts on Fire and Hearts and Arrows? Can a non brand name with excellent characteristics be just as brilliant without paying for the name? Usually VS1 stones are eye clean. That being said, something to remember is that not all VS1s are created equal. Within the VS1 grade, there are range of inclusions that you can have, some more visible than others. On top of this, different grading houses have different grading standards. So, a VS1 graded by one certification house may actually be a VS2 according to AGS/GIA. You’ll notice that many of the online vendors only carry GIA / AGS stones. This is because these are the strictest grading houses and so it benefits the consumer. In regards to Hearts on Fire and Hearts and Arrows… while they are nice on paper, they don’t help a diamond stand out once it’s set. You’ll never look at two stones and be able to say “wow, that one is definitely a hearts and arrow pattern”. In diamonds with good symmetry, a hearts and arrows pattern generally exists. The degree to how clean the hearts and arrows are also varies by vendor, so again, it’s a bit of a subjective property. Finally, in terms of brand name, “yes” – a non-branded diamond can be just as brilliant or better than a branded diamond. At the end of the day, stick with the diamond properties. You could in practice buy a diamond at Birks for $30K and buy an equivalent stone at an online retailer for half the cost. If you’ve done your homework, both will be equivalent in terms of light performance. If you need help narrowing down your list, let me know. As you’re only looking at VVS2 and above, you should include Blue Nile in your search. There are no diamond images with Blue Nile but at such a high clarity grading, you really don’t need the diamond images anymore. Let me know if you’d like me to put together a few recommendations. I am looking to purchase a diamond for an engagement ring. The diamond type that she loves is the emerald cut, but I am having a hard time narrowing down this diamond as it seems to be very different than the majority of the other cuts. Would you be able to assist in recommending a few loose diamonds? I’m looking to try and get about a .70 or larger carat and would love for the diamond to be in the $2,000 – $2,500 range, if possible. Obviously I would like to ensure I get the best diamond for the money, and have been partial to the James Allen website so far. I want to ensure it is flawless to the naked eye and as close to perfect as possible in every way! I can stretch the budget if needed, but would still like to have plenty of funds remaining to purchase the setting with a halo and diamond band. Your best bet is definitely with James Allen as the large, high quality diamond images make it considerably easier to find a good candidate stone. Helps take a lot of the guesswork out! The first stone really caught my eye as the level of liveliness was very high. Objectively, I will say the stone is lacking a little in the center and I’m debating whether it’s the incidental angle of the camera or the symmetry of the stone that’s causing this. This would be an interesting side by side comparison for a James Allen gemology to help make the final selection between the three stones. Take note that there is also an inclusion at the bottom right corner which can be easily covered by a prong. The other two recommended stones are great candidates despite being a little higher in the color and clarity category than I would have like. Let me know what you think of the recommendations! Thank you for the quick reply! I can certainly see the difference and it is significant when you compare them side by side with the “glassy” effect you noted. With that being said, I really do like the first diamond you recommended but am nervous about the obvious inclusion. If we up the price range a bit, is there anything you can find similar to the first diamond that doesn’t have the inclusion? Outside of that, I really do think all three of your recommendations would look great! Thank you again for your time and advice! Colin, do you already have a setting in mind? The reason I ask is that depending on the setting you may be able to cover the inclusion. This is a money saving tip I often recommend to readers. A stone with a visible inclusion cost less and so this is a great way to save money without sacrificing the appearance of the final product (when inclusion covered). I currently do not have a setting picked out. I know that I would like there to be a halo around the diamond as well as diamonds around the top half of the band as well. Will a halo setting allow this inclusion to be hidden? Thank you again for your time and responses! While the halo setting won’t “cover” the inclusion, it will certainly detract from it’s visibility. With the halo setting, there are still 4 prongs and this is what can be used to cover the inclusions. Because the location of the prongs depends on the exact halo/setting you pick, I’d recommend you settle on a setting first and then reach out to the team at James Allen to have them confirm if the alignment of the prong works with the inclusion. If that turns out to be a no-go, let me know and we’ll find you another stone with similar properties! I have been pouring over your responses for the last two days and have finally worked up the nerve to write. Approximately a year ago, my son accidentally knocked my engagement ring into the sink, where it was destroyed when my husband came along and turned the garbage disposal on. I was heartbroken. Since then I’ve been reading articles trying educate myself so that I can replace my ring. I am so confused. Could I ask you some basic questions? My wedding band is gold, so I would like the diamond band to be gold, but I would like the diamond’s setting (thinking of doing a halo setting) to be to be a silver-colored metal. I have not seen a single setting like that at any of the online stores. Do you think this would be possible? With a gold band/silver setting, what color grade for the diamond should I be looking at? I was thinking of staying in the “H” range. Is this a good idea or should I go “F” or higher? Also, I am wondering if there is a particular ring that has more sparkle than the rest due to it’s shape? Are rounds more light reflecting than a princess cut? Is a radiant better than a cushion? It’s confusing because some diamonds don’t list the grade cut. Is one better than the other? I can’t make up my mind on which to choose. I would like a GIA certified, eye-clean diamond with lots of sparkle. (It’s all about the size and sparkle!). I would love to buy a diamond as close to 1 carat as possible (or a ring that looks as big as 1 carat) , but I think I’m setting myself up for failure since I”m trying to keep the cost of the diamond around $3,500 (not including setting.) Any advise you could give would be greatly appreciated. Thank you. I’m sorry to hear about the loss of your engagement ring. Did you make an attempt to save the diamond? Or did activating the disposal purge the container? Given the hardness of a diamond, I would assume the stone itself would have survived the garbage disposal. In regards to a yellow gold band with a white gold setting, yes, it’s possible. I’m not familiar with any of the online vendors showcasing a setting like that but most, if not all, will gladly build the ring for you if you shot them a request. Leading online diamond retailers like Brian Gavin will even work with you to build a custom 3D model in the cases were a consumer wants something unique designed for them. Because you’re going with a yellow gold ring, you can go as low as a “J” color grade. Finding a I/J stone would be ideal; Anything above that would be needless. Round are the diamond cut that give the most sparkle due to their shape. If rounds aren’t your flavor then you could always consider the cushion cut from Brian Gavin. The signature cushion cut is supposed to have a brightness comparible to a round brilliant (http://www.briangavindiamonds.com/diamond/brian-gavins-cushion-hearts-and-arrows). Apart from rounds you’ll notice that many of the fancy cuts do not have a cut grading scheme. This is because there is no accepted proportion for these fancy shapes. Each diamond house will have their own variation of the cut and so grading the cut isn’t possible like it is for round brilliants. Given a $3,500 budget for the diamond itself, you can realistically expect to get a round brilliant diamond in the range of 0.70 – 0.80 carat weight eye clean stone with ideal proportions. A 0.80 carat diamond is about 6mm across. 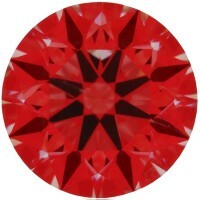 This is in contrast to a 1.0 carat stone which is 6.5mm across. For princess cuts, you can a slightly larger stone. If you need help finding a stone once you’ve selected a cut (shape), feel free to let me know and I’ll put together a list of options. Actually, the garbage disposal broke the diamond. Most of it was lost down the drain. My ring was 30 years old – we trusted the jeweler that we bought it from – assuming he would be honest. A good example of “buyer beware.” Thank you for your advice. Once I narrow down what I want, I will definitely reach out to you again. Thank you. Looking for some help selecting a diamond. I am really impressed with what I’ve read on the Brian Gavin Hearts and Arrows diamond. My girlfriend wants a very simple ring, and they also offer a “Tiffany Style” setting that I really like (in white gold) link below. My total budget is about $5500 – $6000. I obviously want the best diamond for the money – but my head is spinning looking at all of the options available to me. Can you make some recommendations? Appreciate the help! I’ll put a few recommendations together. Just so we’re aligned, you’re looking for a round brilliant right? And total budget (ring + stone) is max $6,000USD. Correct? Round brilliant, yes. And yes $6,000 total budget. I’m from Sydney Australia and am searching for an engagement ring. James Allen is the preferred online retailer as they accept paypal from international buyers. My budget is US$6K for a round brilliant diamond and am overwhelmed with the selection on the James Allen website. As some of the diamonds aren’t located in New York, ideal scope and ASET images can’t be provided. Is this really that important? If you could provide some assistance, that would be great. Oops, forgot to add some more information. I’ve found three round brilliant diamonds from JA but they can’t provide ideal scope or ASET images. Yes, the sheer number of diamonds across sites like James Allen, Whiteflash, Brian Gavin, Blue Nile and others can be overwhelming! Thanks for reaching out to us. In terms of the criteria and proportions you’re working with, it looks good. I can tell you’ve done your diamond research! The only money-saving diamond advice I would give you is to ease up on the color. With a white gold setting you could go as low as J within any perceivable hint at color (or “I” color grade just to play it safe). For the idealscope and ASET images, yes, they do play an important role especially in diamonds in that carat range. The criteria you are using provide a good first filter on stones but the ASET and IdealScope images really help identify the stones that stand apart from your first pass of stones. Have a look at the image beside “Step 2” in the Diamond Buying Guide. The ASET and IdealScope help identify the “strong light performers”. On that note, did you already contact the team at James Allen to request those images? With the exception of the signature line they typically don’t post those but they do provide them on request (up to 3 selections). Lastly, could you reply with either the product links from James Allen or the product SKUs? Unfortunately the JA site doesn’t allow search by GIA number. Thanks for the response, I really appreciate it. I’ll relax the colour criteria and see what other suitable diamonds are available. I have asked James Allen for the idealscope images for the three diamonds but because the diamonds aren’t located in New York, the images can’t be supplied. Below are the links to the diamonds on the James Allen website. I’m having a hard time deciding between H & J Color. Consider between nearly identical diamonds. I’m looking at Round, at least 2ct with Excellent Cut, Depth of no more than 62.8%, no Flouresence, VS2. I’ve had mixed feedback that’s confused me: one feedback is get J color, as you’re wasting money going up to H – you’ll never tell the difference, especially because you’re going for a solitaire 4-prong platinum setting. The other feedback is, definitely look at H as the color in J will make the diamond look warm – it is worth the money to step up to H especially because you have a solitaire, platinum setting. The platinum setting on such a big diamond will make the warm color stand out more. So which way do I swing? Save the money and get a J for a “not noticeable to the eye difference.” Or do I step up to the H, and invest the addition $3-4k to ensure that I get a good colorless diamond? Your dilemma is a classic one which we lose a lot of sleep over. While there isn’t a right answer (as H-J is the sweet spot for color in terms of budget and there are varying degrees of color within a color grade), the short answer is go with the J color and save money. Here’s why: Spending the extra $3-4K will yield you an ever so slightly whiter diamond, but in the years to come you’ll realize that ‘slightly whiter’ won’t change your life enough to have warranted the extra spend. I can certainly attest to buyers remorse. Think of it like buying a camera. You have a choice between a 12MP camera and an 18MP camera. Sure, the 18MP camera IS better, but when will you really leverage that extra few megapixels? The extra megapixels is great on paper but really only of practical use when you’re printing a life size poster of a photography. Save the money and buy something shiny in a year to compliment the ring (i.e. necklace, earrings). The fact that you’ve already done your research AND are going with a stone 2ct+ will yield a significantly better stone than say those of your immediate friends. This is differntiator enough. I hope that opinion helps get you off the color fence! Some parting food for thought… have you considered the H stone but with a white gold setting? Thank you. The reply is helpful indeed. Not sure I understand the benefit of going from platinum to white gold setting. Does that have an effect on how the color in the diamond shows? The price difference in the setting is not a huge concern for me. Moreso deciding between two stone with $3K between them. I’d really hate to wind up with a yellow tinted stone. Hi Vlad, going off the numbers alone, my personal preference would be stone number 2 (57% table, 61.5% depth, 35.5° and 40.6°). With the exception of stone 3 (due to bad proportions), the stones are relatively identical. I like stone number 2 as the crown / pavilion angle combination would give a bit more fire. The above comments being said, your final choice shouldn’t be based exclusively off the numbers. Visual appearance and light performance is the most important so if you have access to real images of the diamond and/or ASET and/or idealscope images, definately leverage that. Also, the diamond certificate has valuable information such as girdle size, inclusions, dimensions. Dimensions will tell you if the diamond looks larger or smaller from a birds eye view. Just out of curiousity, are you looking at BlueNile? If have are looking at stones online, feel free to send me the links for a second opinion. Cheers! For starters, I want to say that this is an amazing service you provide. So thank you so much right off the bat. Secondly, I’m in the ultimate extreme early stages of diamond hunting as in today was my first real night taking a peek online. What I know so far is that she really likes the David Yurman Capri w/ the cable band. I hope she knows that DY prices are not in my ballpark and I’m guessing replicating that look can be done for significantly cheaper. So I’m looking for a platinum cable band, cushion cut, with a budget between 6 and 10 thousand (I know that’s a large range, but I don’t know exactly how much I’m going to spend just yet) I’d rather find the right diamond first… then check in on the price. If it makes it easier or more reasonable, I’d say the budget is between 6,000 and 8,000 in actuality. My mind is turning to mush looking at this stuff. Thanks! You could definitely have a reputable jeweler replicate the setting or even work with an online retailer such as Brian Gavin to mock something up (they do custom 3D settings) and while it won’t be identical, it’ll most likely be close. Because the David Yurman Capri setting is pretty intricate, you’re most likely looking at about $1000-$2000 for the setting alone in Platinum. For 18K white gold it’ll be about half that. That being said, I’ll assume a budget of under $8,000 for the stone itself (excluding setting). Give me a day or two to come back with some recommendations. In the meanwhile, give some thought as to the size of the stone. If you’re fiancee to be is the flashy type, then bigger the better. If she’s more the down to earth type, large but modest is probably a better fit. Any info you can share will help make for a better recommendation. Cheers! I would say around one carat is what I’m looking for. She’s not flashy, doesn’t wear a ton of jewelry. Very down to earth but obviously has a bit of expensive taste. If the setting is like 1500, then diamond wise I’m thinking approx $5000. I would like some expert third party advice on a 1 carat princess cut I am looking to buy. All my internet research says that cut is the most critical thing, so I have filtered my search to dimensions and table/depth percentages I found online. My worry is that I’ve bogged down too much in numbers and could end up with something great on paper and dull in person. Is this really an “ideal” cut? I really want something with a lot of sparkle! With Princess cut diamonds, the term “Ideal” is a bit of a grey zone. As you do your research, you’ll notice that GIA does not grade Princess cut diamonds for cut and the term “ideal” is never used. This is an artifact of Princess cut diamonds being cut (or shaped) to maximize the weight from the rough diamond. In other words, minimize loss of weight. This is contrary to round brilliants whose roughs are cut to ideal proportions and incur considerable loss of diamond weigh in the process (hence round brilliants are more costly). In the end, the two things you can rely on are (1) proportions (which you should use as a guideline to help narrow your search) and (2) photography of the actual diamond (to see how the actual stone looks visually). The fact that you’ve selected James Allen is not surprising given they have the best real diamond images. My recommendation is to pick the 3 that speak to you and have the gemologist do a side by side assessment. This is a great way to ensure you get the stone with the best sparkle! Hi, I’m just starting out my search and would appreciate some recommendations based off the following parameters. Looking for cushion cut, square shape, with “chunky” look. Aiming for 1.25 carat or above. Everything I’ve read so far is recommending G color (or better) with VS2 clarity (or better). The setting will be platinum. Budget is $8-$9k. Recommendations from both James Allen and Brian Gavin would be very helpful. Tom, do you have a setting in mind? In sticking with your budget, I’d like to understand how much of the $8-$9K should be set aside for the setting. A platinum setting generally starts at just shy of $1,000 for a simple solitaire setting (example), $1500 to $2,000 for a elegant pave (example), and $3000+ for very intriquet or branded (example). With a platinum setting (or any white metal), you’re good to go with an I color stone or better. In terms of clarity, at the end of the day, eye clean is eye clean. This means that you can get away with an SI1 (or even an SI2) but it just requires a more exhaustive (read: longer) search. In terms of the performance, I like stones 1 and 2 above. There’s a good degree of scintillation which is what really differentiated these two from the larger list of stones. For these two stones, you will notice that they have small inclusions but should still be eye clean (the James Allen gemologist can double check this). HINT: You can also test this by shrinking the image to about 1cm across. You’ll notice the inclusion is no longer visible. The 3rd stone in the list is a nice all round candidate. Though you’re paying a little more for the color, but what end up with is a nice chunky stone with good L/W ratio (1.10) and very nice scintillation and good fire. Now, I know you mentioned also looking at Brian Gavin. You’ll definitely guaranteed to get a superb stone as Brian Gavin has Hearts and Arrows Cushion Cut Diamond which is unique to the industry. Because they are cut to the high standards that is synonymous to BGD, the diamonds take the guess work out of shopping for a beautiful cushion cut stone as they are all super ideal cut quality. Let me know if you’re still interested in a Brian Gavin (as you mentioned that setting you picked out was from James Allen) and I’ll be happy to extend the list of recommendations to include a few candidates from Brian Gavin. Let us know which stone you end up with and how it looks when it arrives! I have 4 diamonds all around the same price. From the 4 choice, the second (BGD CAGS-104075222040) is the weakest performer in my mind. The reason being is that it has the most light leakage and relative to the other 3, there is a noticable inclusion on the table. The best perform on the other hand, is the first in your list (BGD CAGS-104068594057). I like this one because there is the least amount of light leakage (seen as consistent red throughout the inner circle and outer circle), scores well on the Holloway Cut Advisor and has good symmetry. Also, the wider arrows will help give this diamond more flash than the others. All and all, you can’t go wrong with a BGD diamond. Let us know if you end up purchasing our recommendation! I know close to nothing about diamonds and what I have read on your website has been quite eye-opening and impressive so far! I have been on the lookout for a necklace similar to Tiffany & Co Diamond by the Yard in 18k Yellow Gold as I love how dainty and charming it looks hanging on the neck, not forgetting, the sparkles of course. However the price at T&C is high and I have read that there are similar necklaces online that may look just as good but cost slightly lower than what T&C is charging cos of their brand name as well. It would be fantastic if you guys can advise on a few that is suitable to my budget of SGD600-700. I am looking for a nice sparkly diamond with the carat weight of .05, anything slightly larger is fine but I just love the look of the tiny pendant on the neck, nothing too outrageous, thank you! Also it will be a plus if the jeweller company can ship the item to Singapore. Thank you so much for your help! Based on your budget, it’s really difficult to recommend anything namely because the usual online players don’t carry anything smaller than 0.2 carats. So, this means even with the smallest diamond, you would have burned through about SGD450. This then doesn’t leave enough budget for the setting which typically runs in the SGD350 and upwards range. If I can throw in a suggestion, have you considered a 5A cubic zarconia? With a CZ you’d be able to get a large stone with high performance for less than SGD50 and then use the rest of your budget to custom build the setting? Let me know what you think or if you can squeeze a little more out of the budget. Cheers! I have a problem. My diamond engagement ring and wedding band was lost by FedEx while being sent in for some routine maintenance through a major jeweler in town. FedEx has paid out a claim and the jeweler is now faced with replacing the ring for me. The diamond was a 1.06 carat princess cut solitaire, G, SI2, 102 facets. This jeweler is trying to replace it with a diamond of smaller weight, claiming that in the diamond industry, any diamond weighing .95-1.06 is considered 1 carat. My diamond was on the top end of that scale, however, and I said, “Well, isn’t it true that a 1.06 carat would cost more than a .95 of the same color and clarity even though they’re both considered 1 carat?” They replied with, No, that’s only true for very high quality diamonds. Am I being ridiculous in asking them to find a 1.06 weight or better to replace my ring? I told them that the only way I would sacrifice weight would be to have a better color and clarity and I think that’s fair. They keep offering me diamonds that are .95, .96, etc. of the same color, cut, and clarity but is that a fair replacement? First off, sorry to hear about your situation. In regards to whether all diamonds 0.95 to 1.06 carats are considered 1 carat, that statement is truly misleading. There is typically a big jump in cost for diamonds that are 1.0 carats and greater. This is often why it’s recommended to buy just shy of 1.0 carats – because it saves you a considerable amount of money and the face up size of the diamond doesn’t look any smaller. Now, it seems like the retailer is just trying to save money at your expense. My advice is to keep the discussion focused on dollar value rather than diamond properties. At the end of the day, the retailer should provide you a diamond of equal DOLLAR VALUE that you paid. In other words, if you paid $5000 for your diamond, your replacement should be worth $5000. The properties of the replacement diamond may vary (i.e. bigger or small size or different color grade) but again, the diamond should be appraised at the same value (or better) as your original diamond. Ok, my next question would be this: are diamond prices not generally affected by inflation or the economy? The ring was bought in 2011, so in that time frame the prices should be relatively the same as what we paid then? Thank you so much for your help! For the diamond itself, I am looking for something that is a good value that has a quality appearance. My budget is $10,000 to $13,000 for the stone and I am hopeful that is able to get something in the 1.5 to 1.75 carat range. Here are some that caught my eye. Any feedback you have is appreciated and valued. In terms of the princess cuts that you’ve selected, my preference would be for the first (http://www.jamesallen.com/loose-diamonds/princess-cut/1.71-carat-i-color-vs2-clarity-sku-384507). A few reasons being that you’re closer to the “sweet spot” and thus aren’t paying for anything you can’t appreciate. Also, the first appears more lively with better scintillation than the other two. A few rules of thumb: (1) Look for a table below 75% and (2) Look for depth between 65% and 75% and (3) Color H or I for best value. Now, in terms of the round diamonds, I actually wouldn’t recommend any of them as they scored poorly on the Holloway Cut Advisor tool. This is a very useful tool to help gauge light performance. Check out Step 2c of the Diamond Buying Guide for a more detailed explaination. The diamonds you’ve selected all scored > 2.0 which means that you could do better. By using the tool, you might end up with a small stone (on paper) but a larger looking stone due to better light performance. If you decide to go with rounds, let me know and I can put together a list of recommendations for you. Yes, I think that round is the way that I will go. Thanks for the tip regarding the Cut Advisor. If you could provide some recommendations in rounds, that would be great. Hi! I have been reading as much of your website as possible to learn everything possible about the importance of cut in a diamond. I am getting close to “pulling the trigger” now but I was hoping to get your opinion on this particular stone. Are there any areas I should be concerned about with this diamond below? Most of the parameters look to be within the “sweet spot.” My original budget was around $15k but I realized to find the quality I wanted, under $20k seems more realistic. thanks for any advice here! I came across this diamond which looks to be similar in quality but quite a bit more affordable. Any suggestions between this one vs the previous link I just posted? Between the Brian Gavin Diamond and the James Allen diamond, I’d definately recommend the Brian Gavin diamond. Although both are Excellent / Ideal (GIA / AGS), the proportions on the James Allen stone are far from desired. If you run it through the Holloway Cut Advisor tool, the James Allen stone scores 5.5 which is not desirable given the alternatives. So, between the two, the BGD diamond definitely wins. When looking at the BGD stone, everything looks good! The stone has good symmetry and light return (as seen in a consistent IdealScope image). This and the fact that you really can’t go wrong with a BGD diamond! You original stone, while a VS2, does have some crystals as can be seen on the inclusion plot and the 360 viewer. The two stones above have similar very small inclusions so I’d rank them as equivalent in terms of visual clarity – all 3 being eye clean. Note: Do work with the folks at BGD to confirm the stones are in fact eye clean. The first stone in the list above is considerable larger in terms of carat weight while being of equivalent price to your original selection. The only difference I would say here is the color though there will not be noticable difference between H and I color (especially if you go with a yellow gold setting). If you go with a white setting (i.e. white gold / platinum), the gemologist at BGD can advise on if there is any warmth in the I color stone. The second stone in the list is actually 1.653 carats (seems to be a typo in the URL making it look like 1.702). Between your original stone and this stone, there is a 0.02 mm difference in size when viewed from the top of the diamond. This size difference would actually save you $2,000 so I’d advise you to consider this as an alternative. Since these stones are in-house at BGD, my recommendation would be to have the gemologist do a side by side in order to provide their visual comments and help select the best stone. With any luck you’ll end up with either a larger diamond (for the same budget), or an equivalent sized diamond for less money! I am looking at 2 different diamonds: one is a GIA triple excellent with all excellent’s in the HCA calculator. Also, when I look at the table and depths scores, they are “ideal”. The other diamond I am looking at is also all excellent’s and when I look at the table and depths scores, they are “super ideal”. However, the table and depth are not listed as it is an older GIA rating, so I can’t get an HCA rating. Both are similarly sized and priced and are D colored with VVS2 clarity. Based on the information I have, which would you recommend? Karen, do you have the GIA certificate numbers you can share and/or the links to the stone (if via online retailer)? Great website. Would love to get your advice on a diamond. Budget is 8-10K and im looking for a round cut around the 1.25 carat range. Im thinking ideal/excellent cut or one of the signature cuts from the online retailors. Also, looks like color H and VVS2 would offer most bang for the buck. Thank you for any advice/diamonds you can recommend. Robert, I’m close to putting together your list of recommendations. There is a lot of good choice in this range and so help me narrow down the list can you let me know if you have a material in mind? (i.e. platinum, yellow gold, white gold)? Also, are you opposed to going with a larger stone (i.e. 1.5 carats)? Or would you prefer to stick to the 1.25 carat range and save on budget? Hi, Thank you so much for your assistance with diamond selection. For material, I was planning on white gold. I am not at all opposed to a larger stone. Ideally, I would love assistance in getting the most “wow” factor for the $. Thanks again! Robert, sticking with I or better and eye clean will help you make the most of your budget – which means size will definitely be part of the wow. Here’s a few candidates from Whiteflash’s A CUT ABOVE line and from James Allen. The last stone in this set is a little more expensive per carat but will showcase nice pin fire flash! This always generates the wow! The first stone from James Allen does have an inclusion at the 9:00 position but can be covered by a prong. Your website is tremendously informative and helpful. Keep up the great format. Here are 4 stones all with HCA’s under 2 that I have had some help from Sheerah (who is also very helpful). Thinking like my GF might, I’m inclined to go with the larger 1.914ct stone just for that added “wow” but I know the 1.74ct performs better. Based on the 4 stones, I would agree with Sheerah that the 1.74 ct (AGS-104074953032) would be the best performer. As an aside, it’s always nice when the best on paper lines up with a real side by side viewing. In terms of why the 1.74 ct stone is better, take a look at the ideal scope images side by side (1.74 vs. 1.914). Although both are good candidates, you’ll see that the red is a little more consistent with the 1.74 as is the symmetry. You can see this in the base of the arrows and the more symmetrical hotspots (little black arrows between the main arrows). Although the 1.914 carat stone is closer to the 2 carat range, it still isn’t actually two carats so I would be inclined to save the extra $3,000 and instead go with the A CUT ABOVE stone. Depending on how savvy your girlfriend (or her friends are) on diamond branding, this may actually be a better “wow” than the carat size. Now, I did have a look at stones within the same budget range which had a lower clarity (SI1) but still eye clean and over 2 carats. While there were 2 candidates (example below), the light performance wasn’t up to par with either the 1.914 or 1.74 and so I wouldn’t recommend either 2 carat stone. If you compare the idealscope of the 1.914 and the 2.05 below you’ll see that there is more leakage with the 2 carat stone. Also, in the ASET image, you’ll see more black (less desired) than blue. Many thanks for your prompt and valuable reply. Upon further investigation, and using your website shopping recommendations, are there any options you might see presently at James Allen? Kevin, I see that the Whiteflash stone sold out :(. From James Allen inventory, I can definitely recommend a few stones. Here’s a selection based on whether you want to stick below 2 carats, or spend a bit more for 2.0+ carats. Recommendation 2 has a few crystals at the 5 o’clock position which should be coverable by a prong. The last of the set exhibits more fire than the first 2 but in my opinion wouldn’t be worth the extra $4,000. For this set, don’t worry about the wisps in stone 1. As for stone 2, the diamond specs are right but the certificate on the site is wrong. I had a quick chat with the folks at James Allen and they confirmed it will be fixed. Here’s a direct link to the right GIA report (5161110152). For this stone, there is an inclusion at the 7:30 position but again it should be able to be hidden with a prong. You can confirm this with the gemologist if you ask for a side by side comparison. Thanks again for your very useful assistance. And yes, the Whiteflash stone did get sold… to me… I was the person who bought it! I bought it online from home in Toronto and with only a few days to go before travelling to New York to propose to my GF, I had Whiteflash FedEx the stone to a pick-up near my hotel in Manhattan. Im looking at this diamond in a six sided setting in white gold. This stone is $250 less, slightly larger and technically performs better. On the HCA calculator, it scores “Excellent” across the board. Both of the above also score better on the Holloway Cut Advisor than your original choice. If time is on your side, I`d recommend picking 3 and requesting Idealscope / ASET images. In addition to the comments from the gemologist, this till help you pick the best performer. Hi, I am looking for a cushion cut to have set in a rose gold thin french cut pave setting (http://www.jamesallen.com/engagement-rings/pave/14k-white-gold-thin-french-cut-pave-set-diamond-engagement-ring-item-41276). I am looking to spend between 4-6k and hoping to have a nice eye clean diamond between 1 and 1.25 carats. Any recommendations would be greatly appreciated. Alex, with cushion cut diamonds there are so many variations which results in a LOT of choice – ultimately it comes down to personal taste. In terms of buying tips for cushion cuts, always ensure you SEE the stone rather than going solely by the diamond certificate. As you start to weed through the many diamond images, you’ll notice that each cushion cut diamond is drastically different than the previous yet all look extremely similar on paper. Apart from that, aim for a depth and table less than 70%. Because you’re going with a rose gold setting, you can go with a color grade of J or K. Personally, I like a little contrast between the stone and the setting so my recommendations are H or better. For clarity, you I’d recommend SI1 or SI2 as long as it’s eye clean. As your setting is pretty symmetrical, I’d recommend a cushion closer to square than rectangle – but again, personal taste. One thing to keep in mind is the face up area of the stone in conjunction with the carat weight. With cushions, often times you can get a smaller stone with larger face up area than compared to a larger carat stone. Here’s a few recommendations. As you can see, between the first stone and the 1.3 carat stone, the face up area is marginal. Also, the first two stones have very small inclusions although the stone should still be eye clean. A on-staff gemologist will be able to confirm that. Best of luck! In case you are open to getting a setting elsewhere, consider Brian Gavin’s Signature Cushion with Hearts and Arrows. These cushions are cut to the same high BGD standard and are graded AGS 0. Looking to buy a round diamond, max budget for the stone approximately $4000 (a few hundred more is ok). I’ve mainly been looking on james allen. What do you think of this one: http://www.jamesallen.com/loose-diamonds/round-cut/0.91-carat-j-color-vs2-clarity-excellent-cut-sku-363906 (HCA 1.6) – do you think those subtle inclusions on the table are a problem? Those inclusions look fine (i.e. the diamond is eye clean). As for the diamond itself, it looks good! What was the price on the stone? I can quickly put a few recommendations together and this will help me put things in context. Also, what are you planning on selecting as your band? Gold (white or yellow) or platinum? It was about 3500 but it went unfortunately. Setting in platinum. Some other recommendations would be gratefully received. Stone 2 has wisps which will not be visible to the naked eye. You can always have the on-staff gemologist confirm that there’s no impact to light performance. Also take a look at the other recommendations I put together for another reader today as your budgets are similiar. Good shopping! I am looking for a diamond engagement ring for my future wife! I was looking at blue nile but then did some…research, doesn’t look that great. So I am with a budget of $20,000 to $23,000 for a 2.00 to 3.00 carat, D-F color, VVS2 to VS2 clarity, excellent to very good cut. I heard a few horror stories about people buying an engagement ring at that price and certain companies screwing them over. Anyways, I would love to hear your input. Sorry I forgot, Princess cut with a Halo setting!! To each vendor their own! Blue Nile stones are sourced from inventory across the world (rather than being in-house) which is how they’re able to offer such attractive pricing. On the flip side, having virtual inventory makes selecting a diamond a little harder unless you’re looking in the higher clarity end. As with all online diamond vendors, there are pros and cons to each. Because princess cuts have such a large table (window in the stone), sticking to a vendor with real diamond images definitely is in your best interest. As for the horror stories, what have you heard? The larger online diamond retailers typically work very hard to keep a high level of customer satisfaction given that the industry is highly dependent on word of mouth. That being said, it’s always interesting to hear first hand of others experiences. In regards to the above recommendations, the first stone from James Allen contains a corner feather. It’s always good practice to have the gemologist provide his/her input if this impacts the structural integrity of the stone. If he/she feels it’s a safe bet, then this stone is a great buy for the price, color and eye clean clarity. The stone from Whiteflash is a little smaller than the rest of my recommendations but I included it as it’s an AGS Triple 0. Unlike GIA, AGS rates the light performance of princess cuts so having a triple 0 takes a lot of the guess work out of the buying process for Princess cuts. Check out the idealscope and ASET images on the Whiteflash page. forgo to add.. what would you think would be the sweet spot in that range and for that budget.. 1-1.2ct would be nice and i think i can find G-H WIHT VS2 S1 maybe..
sorry to add more just thought it migh help.. by the way i plan on proposing on the 12 th december and live in switzerland :))) do u think thats doable.,.. Thanks! That sweet spot is pretty much what I had in mind. H or I color even. December 12th is cutting it close but definately doable. Express shipping will help a bit! I’ll put together a list of recommendations and get back to you tomorrow. Cheers. These 2 diamonds: what do you think ? You so much for your input ! Getting a little panicky and appreciate your help! Found a diamond I am interested in purchasing via a private seller. Have gone back and forth and have a copy of his 2013 appraisal document but not the original certificate (few yrs ago) . It says on the appraisal that the diamond is laser inscribed with “eternity logo, ETERNITY and serial number (6 digits)” I am told it is a special round brilliant cut from Belgium. I have searched all the registries and cannot locate the stone by the # … I cannot find much on “eternity diamond” cuts on the net either. Couple limited sites. I would have an appraiser to look at it / verify it before buying it but but would be doing it via great distance and by courier etc as we live on opposite ends of the country. Ever heard of an eternity cut? Flags? Thank you for the great site!! The face-up size of this 1.95 carat Round (6.88×6.71×5mm) is out of normal range for 1.95ct diamonds of this shape. A well cut 1.95ct Round should have an average diameter between 7.91 and 8.24 mm. Compared to 1.95 carat Round reference diamond, this diamond appears too small when viewed from the top, which makes it a chubby. The spread of the diamond (i.e. what you see from a birds eye view) is closer to a 1.14 carat diamond. So, basically, with this stone you’re paying for the extra weight but not actually ‘seeing’ a bigger diamond. Just for reference, a well cut 1.14 diamond of similar specs would run you just shy of $9,000. On the other hand, a well cut 1.90+ carat diamond (again, of similar specs) would be about $22,000 USD. Lastly, take care when looking at appraisals as not all are created equally. A IGA or IGI appraisal may come back with a VS1 clarity and G color. However, the same stone when appraised by GIA or AGS (preferred) may yield a stone of lesser quality (i.e. SI1 and H color). Unfortunately, I can’t say I’m familiar with Eternity diamonds. It is possible the business has since been dissolved or was a smaller retailer who laser inscribed their inventory. Definitely have the stone certified for 4Cs and proportions at a institution. This will help provide you an apples to apples comparison relative to other stones on the market. Also, take note that the appraisal document from the seller most likely has an inflated value of the diamond. For example, if I purchased a diamond for $10k, the appraisal may come back with $20k value. This is really an artifact of how insurance policies work. My advice is to search online for something similar in order to determine fair value for the stone. Wow quick response! Thanks. Yah, the appraised replacement is 35,0000 so quite a bit higher. Not sure what to do. What if it’s an amazing scam? Can an appraiser find the serial report in a search that I cannot? Hi there – this is a great website and very much appreciated! and would like your honest opinion on it. I’ve searching for a VS2 for value reasons except I’ve been quite picky in terms of where the inclusions are located (trying to avoid inclusions on the table). I’ve run the facetware on the stone and it looks like the thing that makes/breaks its “Excellent” cut is the pavilion angle. It looks like its right at the edge of excellent/VG and I am wondering if this means that the stone will not have the “fire” in it that everyone is looking for. I would like your advice on what you think of the value here and if you think there are better stones out there (if so, any help identifying some would be awesome!). Unfortunately, I can’t get over having a “colourless” diamond, I must admit I might be a sucker for marketing lol.. Recently I was introduced to a local jeweller who showed me a gorgeous stone (albeit under perfect lighting of course..) and provide a pretty attractive deal (especially for Canada). I’m glad that most of the inclusions seem kind of minor however I am not sure if I should be majorly concerned about the indented natural inclusions one of which is right at the end of the stone. I greatly appreciate your other options you presented and the first stone looks pretty good 🙂 thanks! You’re welcome! If I had to choose between the two diamonds, I would choose the Blue Nile stone (LD04790621) over the retailer stone. Cost wise, the Blue Nile stone is (marginally) cheaper when looking at price per carat. When looking at proportions, the Blue Nile stone has better spread when viewed through the Holloway Cut Advisor. Those two aside, I’m a strong believer that shopping online gains you more in the long run in terms of services. In this particular case, additional services like 30-day returns, upgrade program, and insurance to name a few. I hope the above helps put things in perspective! I am trying to find the perfect diamond for an engagement ring; one that really pops! I have the setting already picked out (http://design.jared-diamonds.com/engagement-rings/engagement-rings/ring/item23_10831) and would like to get the best diamond for my money. My budget is approximately $5000 for the diamond and would prefer an ideal (or signature ideal) cut, round diamond. I have looked at the setting in the store and, with the salesperson, we figured a .75 carat would be about the smallest size diamond that would fit and not blend in. Conversely I wouldn’t want to go over 1 carat as that would be too big on my girlfriend’s hand. I see this diamond (http://www.jamesallen.com/loose-diamonds/round-cut/0.80-carat-g-color-if-clarity-excellent-cut-sku-349725) and this one (http://www.jamesallen.com/loose-diamonds/round-cut/0.77-carat-f-color-vs1-clarity-excellent-cut-sku-367713) that seem to be somewhat close in comparison, but with a $1200 price difference. I’m evidently missing something. What would your recommendation be? The difference between the two stones is primarily the clarity grade. Remember that “INTERNALLY FLAWLESS (IF)” diamonds are very rare in nature and thus they command a higher premium. Keep in mind that an IF clarity grade this does not mean it would outperform the other stone. In this case, the other stone actually has better HCA proportions and would visually outperform the flawless stone. Although “Flawless” always sounds very appealing, what you’re really paying for something you can’t appreciate. To help put this in context, think about 2 identical Ferraris. Both Ferraris look, sound and perform exceptionally. The only different between the two is that one has a slightly thicker paint job (say 40 microns vs. 42 microns). In practice, both Ferraris are identical, but on paper one IS technically better than the other. So, the question here is: would you pay a considerable amount more for Ferrari with the thicker paint job? This is basically what it’s like to compare an INTERNALLY FLAWLESS diamond with (say) a VS1 diamond. To the untrained eye, they will be identical. In terms of my recommendation, I would relax your clarity and color criteria a bit and shift that budget towards getting a larger stone. Clarity and color would still be at a grade where she and you won’t notice a difference. Here are a few quick recommendations to show you how you can stretch your budget. For your selection, I aimed for H/I color grade and VS1 / VS2 clarity grade. If you do want to go over a carat, you could certainly find something by relaxing the criteria a bit more with a J color and SI1 clarity. As you mentioned you’re looking for just the stone alone, I’ve provided you a few recommendations from different trusted vendors. All of the stones below have excellent proportions (HCA score less than 2.0) and in most cases are an AGS 000. This should satisfy your “pop” criteria! I love your website and have been using it a ton to look for the right diamond. I am wondering your opinion on what diamond to buy. I would like to spend not much more than 2000$ Canadian on a round diamond around .70. Obviously as long as it looks good the cheaper the better. I did look at this very good deal of a diamond. It is .70 K SI1. It looks pretty clean and has a very good Holloway cut score(.9) but I was told that the K color might look yellow? It also has a large marking at the corner that I am unsure if the prong would be able to cover. But it is a very good deal. Other than that one this one is a .71 J SI1 that looks very clean for 2088$ Canadian. Let me know what you think of these options or if you have other since I am having trouble deciding. I also want to make sure you get your referral pay since you helped so much so please let me know the best way to insure that. The jeweler in town wanted over 7000 plus tax for a comparable combo. Because you’re going with a yellow gold pave setting, there would be no problem going with a K color though going with something whiter will really help provide constrast between the stone and the setting. Having a stone blend into the setting causes the overall piece to lose some of it’s visual appeal. That being said, my preference would be to go with a J color. My only exception to that rule is if your K stone provides better light return when compared to a select J stone (read on…). In terms of the stone you selected, from the images, I suspect that the prong will cover the inclusion but leave a little to either side of the prong. This is not really a big deal and not noticable unless you’re really looking for it. Otherwise, a very good choice in stone! Eye clean and good proportions. Just to round out your selection, I took a look for some stones for you at both James Allen and Whiteflash and provided 2 recommendations to include with the stone you selected. There was one candidate at Whiteflash but since it was a tad over-budget and given you have already selected a ring at James Allen, I left it off the list. Recommendation 1 is slightly outside of ideal proportions but otherwise a good all-round stone. There is a slight inclusion between 3 and 4 o’clock. The gemologist can confirm what I suspect will be eye clean. Recommendation 2 has a feather on the left hand side. Again, this will be hard to notice (a good example is try zooming out and seeing if you can notice the inclusion). Because you can have a side by side comparison of 3 stones, I would include the above two with the one you selected. Between the 3, I would go with the one which is deemed to have the best light performance given through an IdealScope image or ASET image. Feel free to let me know if you need help when you get the images. Oh, and congrats from a fellow Canuck! Got the Idealscope. How can I send them to you? Also do think with the yellow band I should get yellow prongs or white prongs? Hi, great website full of lots of information! I was hoping to get another opinion on a cushion cut I found on James Allen, as well as help finding any other cushions that catch your eye. I’m going to get ASET imaging on it, but would like to submit a couple more diamonds for comparison. I’m looking for cushion cuts, with a budget around $9000. My search parameters were 1.4-1.6 carats, H-G color, SI2-VS2, but if you find any cushions that you feel are a great value, I’d definitely take a look. I’m probably going to have it in a white gold solitaire or pave setting. Thanks for your feedback! While we don’t have a dedicated James Allen review section per se (we used to), James Allen is one of our favorite retailers and you’re sure to have a great shopping experience with them. I sent you a private message with our email address. Feel free to send over the ASET images. We’ll try and provide feedback before your deadline. Cheers! Between the 3 James Allen pear diamonds you selected, my preference would be Pear #2 (James Allen 239437). On paper, Pear #2 has better proportions being cut well and having a good length/width ratio. Pear #1 is cut shallow and #3 is cut deep. In terms of L/W ratio, Pear #2 has a ratio of 1.54 which is ideal (take this with a grain of salt as L/W ratio is really personal taste). One thing I did notice is that Pear #1 seems to have uneven shoulders. It’s a little tough to tell because of the angle of the image so if you have any correspondence with the James Allen gemologist, have them confirm it. Pear #2 also has a better color grade (preferred in fancy cut stones) and has Medium-Blue fluorescence. This will add a bit of a cool white visual effect to the stone. Although my preference is #2, I will say that there is a noticeable bow-tie pattern in effect. From your selection, only Pear #3 doesn’t have it. Take this into consideration when making your final selection as some people mind it and some don’t. I hope that helps! Thank you for your input, i agree #2 is the best but hoping the bow tie is much less in person. i emailed you the corresponding asets and i also included links and asets of my bf’s finds. i think one of his picks is a good competitor to #2 above and has even less bowtie. The only thing is that it is a bit smaller and 200$ more. I have to admit I am tempted to get the bigger one but I wanted to see if you feel my bf’s pear is a better choice. Thanks greatly and hope to hear from you soon! Firstly, what a great site – so thanks for all the information. Please can you help me choose a nice diamond from James Allen’s website as I am struggling after seeing so many? I am buying a single diamond platinum engagement ring with a round diamond. I would also be shipping this to the UK. My price range just for the diamond is 8500 – 12000 dollars but I am ultimately looking for value and something that is clean to the eye and has a great sparkle. I was hoping to get around 1.4 – 1.5 carat and an excellent cut with good dimensions. Thanks for all the helpful info on your site. I’m searching for an emerald cut loose diamond, but have not been able to find any guidance on preferred or recommended specs, such as table %, depth, length to width ratio, etc. Do you have any recommendations in this regard? Also, what are your thoughts on an EGL certification? The jeweler is trustworthy, but I have read so many bad things about EGL that I am very hesitant. Thanks in advance! The reason the web is full of varying recommendations is primarily due to the fact that an Emerald Cut falls under the Fancy Shaped diamond category and really is driven by personal preference. Some shoppers prefer a more square diamond which others prefer a more rectangular emerald diamond. As I’m sure you’ve seen, even with the L/W ratio there are different recommendations. If you’re looking at square, a ratio of 0.95 to 1.05 is a safe bet. For rectangle, 1.40 to 1.50 is a nice medium. Again, the ratio of the rectangular shape should take into account the style you are aiming for and the setting you are selecting. For example, a higher ratio might be avoided if having side stones. In terms of carat weight, the size of the diamond will also determine some recommendations as well. Because larger emeralds have larger, more open facets, as size increases so does the tendency for a higher color grade. If you’re looking over 0.50 carats, D-F is the ideal range. For clarity, an ideal stone 1.0 carats or more is typically FL – VVS2. My recommendation is to always aim for the lowest grade that gets you eye clean. Remember that eye clean is eye clean regardless of whether it’s a FL or VVS2 clarity grade. Going lower will save money without compromising on the visual effect. Other points to remember are to look for a stone with table % smaller than total depth %. Apart from those recommendations, the most important advice is go with a jeweler that you trust. You jeweler should take the time to walk you through the buying process and educate you on all aspects. He/she should show you several stones of varying degrees and proportions in order to help you see the field of options. Lastly, always ask yourself “would I purchase from this jeweler again?”. While I don’t deal with certification per se, I too have heard / read that EGL certification is typically more relaxed than say GIA. What this means is you’ll pay more for something is may actually be a lower grade stone. I have see articles where an identical stone was submitted to both grading houses with EGL coming back with a color grade several steps higher than GIA. I’d recommend going with a GIA stone or request the stone be sent out to GIA for additional grading. Firstly I would like to say thanks for all the information on your site. I like to know the details of what I am buying and I have got a lot of useful knowledge from your pages. I am looking for a round cut diamond for an solitaire engagement ring with a budget of around $3500-$4000. The ring will have a platinum band and my main priority is that the diamond is eye clean with balanced light performance. I would like it to be at least 0.75 carats though I would be happy to go larger (and stretch the budget) if the diamond is worth it. Please let me know what you think of each of those stones and let me know if there is another one which I have missed that you think would be a better choice. I would also like to know how much difference the setting of the ring has on the brilliance. I am planning to go for a setting which uses prongs but will it make any difference if there are 6 prongs rather than 4? I assume that there will be more light when there are less prongs but how much difference will that make? The two stones from Brian Gavin are similar enough that there will be no real perceivable difference. Both have a very strong Idealscope image with consistent dark red throughout indicating excellent light performance. The symmetry is also excellent. This can be seen with the left right arrows between the main arrows. My recommendation is to go with the first stone (BGD 0.818 carat weight stone). This stone is a step up on clarity and will make for more interesting talking point with your fiancée than an extra 0.022 carats will. This stone scores 1.9 on the Holloway Cut Advisor tool and is a Fiery Ideal Cut (FIC). As the three stones are similarly priced ($3,996, $4,025, $3710), I would recommend paying the small premium and going with the 0.818 Brian Gavin diamond. With Brian Gavin you`re getting a higher grade of craftsmanship which guarantees you a beautiful diamond. About the prongs, yes, less is better – the more light that enters the table, the better. In terms of difference, again, this is negligible. So, go with the setting that resonates with your taste. Thanks for the response! The only thing Blue Nile was willing to provide was a GCAL certificate for their signature ideal diamond which does not make me feel comfortable spending $28.5k on something sight unseen. With respect to the James Allen stone, I actually already have an Ideal Scope image for that diamond but do not know how to attach it or send it to you. I would love for you to comment on it so is there another way for me to send it? However, James Allen would not provide me with an ASET image as they only provide those for special cut diamonds. I would go as low in clarity as a VS2 and as low in color as an H but would not want to go any less. I am attracted to the super ideal cut with White Flash but feel uneasy because I heard stories of people on pricescope getting their AGS diamonds regraded by GIA a color less. My objective is to buy the absolute best 2 carat diamond that I can within my budget and I want to feel comfortable knowing that I am buying what I am paying for. Even assuming AGS is lax on color, would the brilliance of a super ideal cut on that White Flash stone make up for it? First of all I want to let you know how useful I found the information contained in your website. I am in the process of searching for a diamond engagement ring for my girlfriend of 4+ years and I found your website to be an extremely valuable resource for a first time diamond buyer such as myself. I have a budget of approximately $30,000 for the stone and am considering these three diamonds from Blue Nile, James Allen, and Whiteflash and would like your opinion on them. James Allen: 2.01 carat, H Color, VS1, Triple Excellent: $28,840. Scores 0.8 on HCA. White Flash: 2.06, H Color, VS2, AGS 000 (this is from White Flash’s A Cut Above Line): $26,451 (White Flash offered me a small discount to the listed wire price after I called in). Scores 1.2 on HCA. First off, thanks for your feedback! We keep doing what we do because of readers like you! Your 3 stones are a perfect example of how different diamond vendor differs from one another. On paper, each provides the certificate but that only allows us to do a very high level comparison between the 3 diamonds. To really be able to pick the best out of the three, we really need ASET and Idealscope images for each. For Blue Nile, these unfortunately aren’t available. From James Allen, these can be requested and take a few days to obtain (a max of 3). Now, getting back to your original question of which is best, if I were to base it solely on the proportions and the diamond certificate, I’d go with the Blue Nile diamond (LD03912479) (…read on before you whip out the credit card). I like the Blue Nile stone over James Allen because the table is in the middle of the proportional sweet spot (table between 53% – 57.5%) and the price per carat is lower. Would you consider a lower clarity (VS2 or SI1)? Would you consider a lower color grade? Shifting your search to say a VS2 clarity and I color could help you save rough $3000 – $4000 without altering the look/feel of your diamond. Even finding an eye clean SI1 is possible (though a little more difficult) which again would net some huge savings. That being said, based on the size you are looking for, I’d stick with VS2 and I. Let me know if you’re willing to explore that option and I’ll help put some recommendations. Finally, in regards to your question about AGS stones and lax on color grading – this is something I wouldn’t worry about. As a consumer, you have to remember that stones are graded table down against masterstones but are viewed using the naked eye with no reference point (i.e. your girlfriend will not be holding a set of masterstones to showcase her new diamond). While it may be true about the lax in grading, to the end consumer there will be no visible difference as even against masterstones the differences color are minute. Thanks very much for your reccomendations! they were extremely helpful. i had james allen send me the idealscope images, but am not able to attach them here. Do you have an email i can reach you at? The diamonds will be released from hold at 4pm today, so i will probably make a decision by then….but would definitely like to hear your opinion if you are around today. Yes I was more keen on the 1.41 VS2 Ex/ EX stone, as it is nil fluorescent. Without all the details I would say that the first is more expensive due to the VVS1 clarity. Of course, expensive is not to be interpreted as “better”. In terms which is prefered, I would select the second as it’s a more reasonable stone (again, not having all the details). Is that what you were looking for? By chance, do you have the links or certs to these two stones? i am looking for a diamond reccomendation to propose next month. I know that She wants a round diamond in a yellow gold setting. I was thinking 1.75 to 2 carats ideal cut with a 15k-17k budget. Any help would be appreciated. Pelase let me know if you need more details. Because you are planning on going with a gold setting, we can go with a lower color while still looking colorless. A J color would be ideal and still look very white against a yellow gold setting. Ideally, finding something with a J color, SI1 (or SI2) would get you the most for your already generous budget (lucky girl ;)). Here’s a few recommendations I put together. As usual, each of the recommendations is eye clean, has a HCA score of 2.0 or less, excellent symmetry and polish and will be strong visually. In terms of next steps, I would reach out to James Allen and request an IdealScope and ASET image (if time permits). I originally only put 2 James Allen stones on my list but because you can request 3, I added a third (recommendation 4). Although the diamond image looks “dirty” the inclusions are wisps so the stone should still be eye clean. You can confirm that with the gemologist. For recommendation 3 (Whiteflash), this stone has a great idealscope (equals great light return). This is seen as the consistent red throughout and very little areas of white. One interesting note (which shouldn’t impact your selection) is that the symmetry is not as strong. Compare it against this one and you’ll see what I’m referring to. Compare the two stones (in particular the base of the arrows). You’ll see that one is more consistent than the other. For recommendation 5 (Blue Nile), I put this one for good measure. Because you can’t request images from them, I selected a higher clarity and selected a stone with a specific type of inclusion (feather). From the inclusion map, the stone will end up eye clean. I hope this helps you out! If you do request IdealScope / ASET, feel free to share them. Best of luck in your engagement planning! I need help picking out a center stone (and if you guys see a better value for ring im open to suggestions). My total budget is $4000-$5000 <-max, would rather not be here. I am looking to buy from James Allen due to having a credit line with them. Any help you can lend would be much appreciated. Thank you. I put together a few recommendations for you based on your total budget of $5,000 or less ($5,000 – 1,150 for the setting). Each of the 4 recommendations is eye clean, has a HCA score of 2.0 or less, Excellent symmetry and polish and is sure to perform. All of them are in the .80 carat range (6mm across) so the ring will look very close to a 1 carat ring. Recommendation 3 has a inclusion between 12 and 1 o’clock which can be hidden by prong which makes this one a great value. Recommendation 4 is a bit out of budget but just wanted to give you more choice in case you needed to get closer to a true 1 carat. Thank you very much. I’ve called Jason Allen to have Ideal Scope photos for the 3 diamonds within my “range”. Although having closer to a carat is ideal, I’d like to stick to my guns as much as possible with the budget. If for any reason these first few don’t work out I will call to request the 4th (if possible). I’ve tried to educate myself as much as possible on the topic, but if I have any questions on the images would you be willing to take a peak and again share your thoughts? You’re welcome, Nolan! Always happy to help. When you receive the images, if you still need an opinion, just shoot them my way. Cheers. So I received an email from James Allen’s gemologist this afternoon. The idealscope images are in. I will put them in the same order that you gave the suggestions. For what it’s worth, James Allen’s gemologist suggest the J color diamond. Not sure if I should take his suggestion or not. Thank you for any guidance you can give. My hold is up today. Any thoughts? Im leaning toward the J color right now. Thank you again. It’s a bit of a toss up between the 3 diamonds. This being said, keep in mind that all 3 are excellent choices and the following comments are more of less splitting hair with no noticeable difference to the untrained eye. Based on the IdealScope images, Recommendation 3 has the best light return – seen as the image with the most consistent red color throughout. The other two have a softer light return in the table – seen as a lighter shade of red in the middle. Notice in recommendation 1 that the shafts of the arrows are evenly black. This means a high degree of contrast. Recommendation 2 has the best symmetry as seen by the more symmetrical bases of the shafts and double triangles between the arrows. You can see how each has their own strength/weaknesses. Taking into account price and the fact that a gemologist did provide you their first choice, I would go with Recommendation 3 as it’s really the best value for your budget. Kudos for doing your homework! From the diamond you selected, I can tell that you’ve done your research! And yes, you’re definitely getting a good purchase with this one. A quick search at Blue Nile and James Allen yields comparable diamonds at mid $9,000 and higher. With Brian Gavin, you know you’re getting a diamond that’s a step up in quality which makes this a good buy. This diamond is just a touch smaller which will be unnoticeable (.14 mm from a birds eye view), a color step down, but does not have the twinning wisps. If you notice with your selection, there is a little bit of blurriness near the right side of the diamond on the 360 view. This is an effect of the wisps. While the effect to light performance will most likely be in-perceivable, when given the choice I personal preference is to have crystals over the twinning wisps. Don’t worry in terms of the step down in color. Because you are selecting a diamond with Blue Fluorescence, this will actual help to bring the color up a notch. Take note that there is no IdealScope image. I suspect this is because this is a new diamond (dated this April 2014). I would be very surprised if the IdealScope wasn’t equivalent to your selected stone. Either way, I’d recommend having this one also put on hold and asking for the folks at BGD to do a quick side by side. Thanks for your question! Cheers! 2. 1.04 carat Round Brilliant Cut, Color G, VS1, Cut Grade Excellent, Pol/Sym: Ex/V.G., MEasurement: 6.50 x 6.56 x 3.99 mm, Depth 61.1%, Table 59%. One very small cloud towards the center when looked from above. Mira, do you have the certificate numbers or the vendor links? This will help me better understand what your looking at. Also, what setting have you selected? I wish I can attach them,,,i have them on PDF. This is the link for the round one. you can find the attachments for the Appraisal and Report. The round diamond is cut a bit steep and tied with the “very good” symmetry grade the diamond will have some light leakage. On the Holloway Cut Advisor, it’s marked as “Good – Only if price is your main criterion”. In this case, the Costco price is about $1000 more than a similar vendor offering a better stone. Despite any rebates from Costco (2% if I recall), that is still putting you at overpaying $800. The clarity grade is also higher than I’d recommend. Without seeing it a VS1 or VS2 would still offer you an eye clean princess cut diamond while saving you money. Do you have a personal choice in terms of round vs. princess? For the Tiffany setting you picked, my preference would be for the round brilliant diamond mainly because the softness and simplicity of the setting helps to accent the diamond. With the princess diamond, the corner prongs serve as a “box” which seems a little less romantic (unless you select a setting with pave which helps bring the focus back to the center stone). Just to give you an idea of options from other vendors, here are two sample stones in the same price range. Both are slightly larger than the 1.04 and have better light performance as they’re proportions are ideal (HCA score of less than 2.0). This makes a diamond look larger than a lesser performing diamond. Let me know and I’ll be happy to put together a list of recommendations. I’m happy to get 14k white gold for the metal type since I think the focus is on the diamond anyway – or is it worth ponying up to get 18k white gold or platinum? My total budget is about $6,000 . If getting 14k white gold for the metal for the setting at $1,790, that leaves about $4,200 for the blue diamond itself. I’m hoping you can recommend an appropriate blue diamond for the engagement ring. Clarity of the diamond is important, but so is the size, so a balance would be great. Look forward to any insight you can provide. Thanks in advance for your help! Great looking ring! It will look very sharp with the icy color of a BGD Blue! I would definitely stick with 14k white gold. Although 18k is a more pure gold (75% as opposed to 58.3%), it also means that it is softer and more susceptible to damage. Platinum is the most durable of the 3 but is heavier and also comes with a much higher price tag. It also tends to be more flat looking than rhodium plated white gold. I’ve taken a look and I’ve highlighted 6 diamonds (between 0.60 and 0.75 carats). They are very similar in terms of performance (IdealScope/ASET) so I’ll have an in-depth look at each and follow up shortly to recommend 2. I’m looking to propose in july, I’m already set on round, 6 prong, 1.-1.2 carat, budget is about $8000-$10000 . what I’m looking for is shiny (when lights hits that ring people be like dameee lol) now is hearts and arrows is something ill be looking into? also the colour and clarity I’ve heard that bigger size (larger carat) the higher grade the better obviously but in a 1 carat. some times an si1 could do the trick? Lots of choices in your budget! My personal take on hearts and arrows that it’s a romantic idea, but past that it doesn’t really mean much. Keep in mind that there are varying degrees of hearts and arrows. A Hearts and Arrows diamond from Brian Gavin will be cut to a higher standard then say one from Blue Nile. For instance, Brian Gavin might consider a clef in a heart and rule it out of being a H&A whereas another vendor might keep it as a H&A. In the end, it’s your choice though my recommendation is not too put too much emphasis on it. In terms of color and clarify and how it plays into size, though it is true to some extent, at a one carat size the cut will make more of an impact. Regarding SI1, yes, it’s possible to find a diamond in that Clarity range but it requires a good eye and patience to find one that is eye clean. John, this is a very nice stone! (not unexpected from a Whiteflash “A CUT ABOVE” diamond). All the proportions are right (HCA Tolkowsky Ideal Cut) and the ASET and IdealScope images look great too. For the IdealScope, I wouldn’t say it’s “excellent” but certainly “very good” – this is seen by the difference in red between the inner circle and outer circle. To be honest, this is nothing to worry about (just me being picky). The hearts and arrow pattern is also very impressive (consistent arrows all around). sorry to throw a couple more at you these 3 plus the first one i sent you. i feel like the 1.208 is the best one? No worries! I’m here to help! Between the 4, I would go with option 3 (Whiteflash 1.075 ct) or option 4 (Whiteflash 1.208 ct). Option 1 and 2 I ruled out due to the higher price and weaker light return as seen in the IdealScope image. Regarding option 3 and option 4, both diamonds are so alike in terms of their IdealScope and ASET image that it really comes down to budget (the extra $1500 for .15 carat). Personally, I would go with the 1.075 carat and save the $1500. Your fiancee to be will be happy that it’s over 1.0 carat and you’ll save $1500 which you can use to buy her something nice down the road! Your right DA, i’d ask her best friend and she said the same thing. now do you think this diamond is worth that price tag factoring all the spec? It’s a good price. The average price for a 1.0+ carat, I color, VS2 is approximately $6000. Remember that this is the AVERAGE and doesn’t take into account inclusions, proportions, and/or light return. At $7,251 you’re obviously above the average but you are also getting Whiteflash’s premium A CUT ABOVE brand with Hearts and Arrows and excellent performance. I did another quick search for you and the prices are fairly consistent. The Whiteflash diamond was a little higher but the clarity and light performance (including HCA) was better with yours. One quick personal note… diamonds are like technology. You’ll always find something a little cheaper if you waited but you could spend a lifetime doing so. In this case, you’ve done your research and selected a great diamond. Take confidence in that! Thanks so much DA, i get what your saying plus the longer i wait for all we know prices can go up also just like the housing market in toronto LOL. thanks again for being so patience and helpful! John, I’m sorry to hear that :(. I had seen the “reserved” tag on the stone and assumed that was for you. Let me know if you need me to put more recommendations together for you (and if you have a preferred vendor). With luck, I hope time is on your side! Aside: As a former Torontonian, I feel your pain on the ridiculous housing prices! thanks DA, i haven’t heard from wf since last week. so I’m pretty much back to sq1. i don’t really have an preferred vendor. i’d picked wf because of their in house selection and a cut above stones. i am open to see others. just hurts after such a long search it slip away from me T-T.
John, thanks for your patience! Here’s two recommendations from Whiteflash that are along the lines of your original stone in terms of quality, size and light performance. I’m also looking into two stones from James Allen. I’ve put both on hold for you just in case and are just waiting on the IdealScope images to come back before advising on them. Hope you had a good one! You won’t have an issues with the J color as it’s still in the colorless range. In addition to this, you’ll find that with an ideal cut J it will look very white face up. With higher degrees of light return, colors tend to appear diluted. In other words, a J Ideal Cut would look whiter than say a J with lesser cut. Hope that helps! Thank you for your patience while waiting for the idealscope images of diamonds 299547 and 289237. You’ll find the images attached to this email for your review. I took the liberty of having one of our graduate gemologists inspect your lineup, and you’ll be glad to know that you’ve selected two very bright and fiery diamonds! Their light performance is virtually identical, but for the sake of ranking them, the gemologist’s trained eye found diamond 299547 to be just slightly brighter. They also found its “J” color to be slightly higher/whiter, though it’s doubtful the average eye would notice these differences. Both are eye clean, and as you would expect, diamond 299547 is just a little larger. I encourage you to consider diamond 299547 for your purchase since it’s the gemologist’s favorite. However, if you want to go for the diamond with a lower price, diamond 289237 is an equally great option. Please take a moment to review this information and let me know if you have any additional questions. I have extended your hold on these diamonds for an additional 24 hours while you consider your options. If I don’t hear back from you, I’ll reach out to you within 24 hours to see if you need any assistance in finalizing a purchase. After that time we will release them back to our inventory. Hi all! I am looking to make a proposal soon and want the best diamond I can get for my money. Unfortunately I am a layperson when it comes to diamonds! Any help you could give me in regards to a great diamond value would be priceless. Thank you so much, and I hope you can help me! Do you have an idea of what carat weight you were looking for? Your budget of under $10,000 leaves you with a lot of options but not necessarily much visual difference. To put this in context, in the sub $10,000 price range you can get a princess cut diamond of approximately 1.6 carat weight. Alternatively, dropping your budget to $6000 will get you a nice 1.0 carat weight princess cut. The difference between the two is only about an mm on either edge. For example, the length / width of the $10K princess would be 6.5mm x 6.5mm princess cut diamond versus a 5.5mm x 5.5mm diamond for $6K. In this case, consider if the extra size would be worth the $4000 difference. Something to keep in mind! The length width ratio of the princess cut will define whether the diamond looks more square or more rectangular. 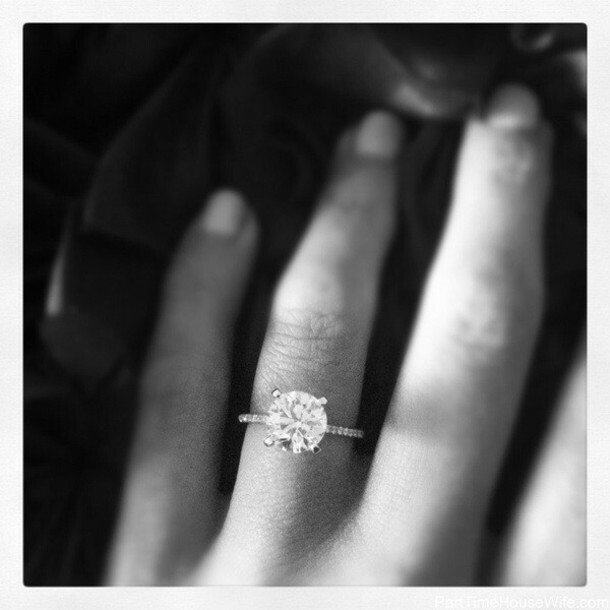 In the case of a solitaire, square is better so look for a length to width ratio between 0.95 and 1.05. For princess cuts, my preference is to have a AGS Ideal 0 [Triple 0]. This means that the diamond has ideal light performance, polish and symmetry. Thanks for the advice! Thinking about a larger diamond, but I can be convinced either way. I really just want the best value regardless. Here are some of the diamonds I have been looking at. What do you think? From your three James Allen choices, 2 do not have an ASET image or crown angle so right off the bat I would rule those out. Buying a princess cut without an ASET is a bit of a gamble. In terms of your third choice (http://www.jamesallen.com/loose-diamonds/princess-cut/1.64-carat-i-color-vs2-clarity-sku-295944), there is a fair bit of “less bright” (green) in the ASET image around the edge of the diamond. Having brighter areas around the edges helps the diamond look bigger, so in this case the extra carat weight might not actually be perceived. Also, the table % is greater than the depth %. This is a good balance between size and budget. The cut is a bit outside of the “ideal” range, but ever so slightly leaving the cut to be “very good”. The stone is an AGS Triple 0, has no fluorescence, is almost a perfect square and has a crown % > 10. The ASET image shows a nice balance between bright, less bright and contrast areas. This can be seen in a good distribution of red throughout. More red in the center would have put this ASET in the “Ideal” category for me but nonetheless it will be a very good performing diamond. The only one thing I will say is that the clarity grade (VVS2) is a bit high and the color grade a bit low. In an ideal world, the budget would be better spent on the color. Like the previous recommendation, this princess cut is an AGS Triple 0. The cut puts it in the “Ideal” category. From the ASET image, you can see that this diamond also performs well with good distribution. The light is primarily concentrated near the center as seen by the red area in the center. Between my first and second recommendation, I would go with recommendation 1 mainly because of the cost savings. I hope the above helps in getting you one step closer to the ring! Thanks for the suggestions! I think all of your advice and knowledge is helping me get many steps closer to the ring! I’m wondering, though, if it might be best if I waited a few weeks to a month so we could see if anything more ideal came along, as I’m a little concerned about getting a J color on a 1.5ct, and, as you said, getting such a high clarity. What do you think? If time is on your side, then I’d say wait a week or two. Inventory constantly changes with online retailers. Just remember to keep in mind shipping and creation time. I’d allocate 2 weeks just to play it safe. In terms of GIA, one should never disregard it. My comments were more to say that GIA is good, but having an ASET image is better. A GIA report alone tells you about the proportions, but unfortunately nothing about light performance. Let me know what you decide and if you need me to keep an eye out. Oh, please keep an eye or even two out! I think I will wait on changing inventory as you suggest. I’ll do my own searching for a couple weeks and would absolutely love it if you could keep a watch out for my diamond as well. I know we are very close to landing it! Thank you so much, and please tell me what you come across here soon! Hey, didn’t know if you had a chance to see if anything better has come along. I have been doing some research, but it has been tough going. Thanks! With each of the above, you’ll notice that the ASET image (in the certificate) shows a good mix of green, red, blue (brightness, less bright, contrast) similar to the original Brian Gavin stone and certificate. I know you wanted something larger, but as you said, it’s really slim pickings in that range. Although it’s smaller, she/you won’t miss the extra mm after sometime with the ring. You can always consider spending the money you save on future bling! Thanks so much for your work and giving me your “true” opinion and not just sending me any old diamond that was a little bigger. I had a question about purchasing the ring setting online. Though places like James Allen offer free dipping/cleaning for life, it seems mighty impractical to get my wife to send her ring in the mail every 6 months to be gone for weeks at a time. Wouldn’t the realistic thing to do be to purchase the diamond online and have it set in a local kay’s/jared’s etc. This way I can purchase a lifetime dipping from them and not have me or my wife lose any sleep? Not a problem! You’d have to check with Kay’s/Jared on their policy for setting stones not purchased through them. I know some places frown upon it as the stone is where they really make their money. Take Birks for example. A diamond through Birks fetches atleast double what you’d pay through James Allen. That being said, if Kay’s offers that service, then definitely consider it. My recommendation, though, would be to have the ring and setting done at the same time and place where you purchase the stone. For starters, that’s part of the advantages of buying online (one stop shop for diamond and setting). The second reason I recommend that is that should you have a problem in future, you can always take it up with your vendor. This becomes a little more tricky you have two vendors (one for diamond, one for setting). Should you get into trouble, one vendor will always point the finger at the other vendor. One your stone is purchased and set, I would recommend doing the cleaning at your local store. Despite James Allen offering this nice service, I agree that it’s a little impractical given that you have to cover the cost of mailing the ring via either USPS certified mail or by purchasing a FedEx insurance label through James Allen for $30 (James Allen does however cover return shipping – A nice gesture to it’s customers). For a little more than the price of postage, you can have your ring cleaned and plated. Just a reminder when you do have your ring cleaned, ALWAYS bring your certificate with you (with diamond etch number) and have the cleaner verify it. You should do the same when you pick up the diamond. There’s no real risk when you go to a reputable place, but always a good practice. Ok, sounds good. The only reason I mentioned it is because, for instance, James Allen doesn’t really have the setting I’m looking for, I’m going to have to get it custom made. Here are a couple other diamonds I was looking through the last couple of days that I would love to get your opinion on in comparison with your choices above. This first one is very similar to the one you choose above only it has the “Ideal” cut grade but faces up a little smaller. Also, through research I understand that I can request an ASET image from companies like James Allen. If so, would it be worth it for me to try to put together a few promising GIA certified stones(like maybe this one http://www.jamesallen.com/loose-diamonds/princess-cut/1.55-carat-i-color-si1-clarity-sku-297936) and request an ASET image? Thanks so much for all that you do! You’ve been a blessing. Out of the 4 you listed, 2 were good (283683 + 299413) and 2 were spread cuts or sold. At this point, what I’d recommend is to have the three candidate diamonds pulled for a side by side visual inspection by a gemologist. Despite everything we look for on paper, a visual comparison by a trained and unbias eye is always a great final step. With access to so many diamonds online, be careful not to get into “endless search mode”. I have seen this happen far too often. We may pick up small differences on paper, but a lot of the time they would be inperceivable to the naked eye. /this is something to remember and something a trained gemologist keeps in mind when providing you their feedback on the selection. If you go with one of the 3, let us know which one! I’m shopping for a Tiffany’s Diamond By The Yard necklace and am in desperate need of help! (I know I can get bigger diamonds for cheaper but from reviews I’ve heard the quality of Tiffany’s for this bezel style is great with lots of sparkle for such a small diamond – perhaps due to high table cut %??). I’m choosing between the .30 and .37 ctw for a yg DBTY because I want something not too big and just a little bit of sparkle at the neck. The specs for the two seem so different that I’m not sure what would be a better pick. Online it says that the .37 is a color I, VVS2, while the .30 is a color E, VS2. I’m not sure whether color or clarity is more important with a diamond this size. I know next to nothing about diamonds so ANY kind of help or advice would be really appreciated! Looking for the best deal on diamonds. I found this page http://www.bobswatches.com/jewelry/diamonds-1.html and so far they are the cheapest. Are these diamonds the same quality as the ones on other websites? I would consider them equivalent given that they come with GIA certification. Although the stones are equivalent, make sure you do your research in terms of (1) selection of rings (2) return/upgrade policy (3) after sales service. I was searching for a diamond right around .8 carats and want a near colorless stone with the least amount of inclusions as possible. Do you think this is a good choice? I’m happy to help! I reviewed the James Allen stones and my recommendation is to ease up on the Clarity in exchange for a diamond which performs better in terms to light return. Remember that the more light returned, the larger the stone will look! The first two diamonds on your list (SKU 280840 and SKU 278896) both fair less than stellar in terms of light returned. The first one also has medium blue fluorescence which some people fancy and some don’t. They respectively returned a 4.0 and 4.3 in the Holloway Cut Advisor. This falls under the “Good” category. A score of less than 2.0 is considered “Excellent” and what we typically aim for. While your third selection (SKU 237892) returned a 1.5 (Excellent – within TIC range), there were several noticeable inclusions. Here are a few recommendations I put together. Ideally, we’d find you something in the SI1 Clarity range to get the most for your budget but unfortunately none of the search candidates were eye clean. If you have time, it could be worthwhile waiting. There is a slight inclusion near the diamonds center at the 7 o’clock position. To the naked eye, this most likely will not be visible however you can always confirm with one of the available gemologist. Although slightly more expensive, it has excellent light return with a HCA score of 1.7 (Excellent – Fiery Ideal Cuts (FIC)). This diamond is larger at 0.90, J color so still near colorless, eye clean and has very good light return. This scored a 2.4 (“Very Good – Worth buying if the price is right”) on the HCA tool. Although slightly above budget, my personal preference would be to go with the Fiery Ideal Cut diamond (option 2). The high degree of fire and color is really something unique – and something your fiancée can showoff (better than Hearts and Arrows in my mind!). I hope the above helps provide a few more choices. Thank you also for sharing your choice in setting! I have no doubt the final ring will be stunning. I wish you all the best! Let us know which stone you go with! But i am not sure its any good, and i dont want to waste my money. So i would really appreciate a second opinion. Although the length/width ratio is good (anything under 1.05 is good), the table and depth % could be a bit better. A great stone would be in the range of 61% to 69%. Here a great example: http://www.jamesallen.com/loose-diamonds/asscher-cut/0.80-carat-i-color-vs1-clarity-sku-225886. This stone is a little bit more than your original stone (+$200) but is larger as well (0.80 carat). Good luck! I have a family diamond that I want to have set, what is your recommendation for finding the best price setting and overall experience. Would you take the diamond to a local store or do Blue Nile and/or James Allen set personal stones? The diamond has recently been appraised so I do have all the paperwork for the diamond. Although you can get a better price online, for the small amount you’d save I’d recommend finding a local store to have the setting done. Although it can be done (I once had a reader who purchased from Blue Nile but had it set with James Allen), you need to be aware that you’d only save a little bit of money after you pay for shipping and insurance. Above that, it’s usually quicker to have it done in store (1 day or two). Remember that when you drop your diamond off at a local retailer, get some sort of “receipt” that states that you dropped it off and that they looked at the engraved number of the loose diamond. I hope that helps!